One day I started writing a blog, for months I was writing to nobody – I didn’t know who was out there, but I dared to carry on – just to see. I never imagined that I would go onto meet three of the most intelligent, creative, whimsical and sincere girls I know. Alex, myself, Gemma & Sophie. You see Alex’s blog was one I came across a very long time ago – I was fascinated by her stunning collection of frocks (not to mention her shoes). In March 2013 she invited me along to the most unassuming, wonderful and cosy trip to Norbury Manor. Whilst here – I went onto discover a whole new me. And the final piece – Sophie. Sophie has every quality that makes a friendship real. We met through blogging and mutual pen-palling, and then met for the very first time in person at Norbury Manor – which saw us have unbelievable all night girly chats – we exhausted each other’s thoughts and emotions, but something clicked deep inside. We had so much in common. It was like meeting the best friend you never knew you had. I knew - that on my wedding day I had to have my closest and dearest in my life to witness my marriage and join us in celebration. It was one night, I turned to my husband-to-be and said "If I have one wish, it is to have my pen pals at my wedding." And that wish came true. A heartfelt thank you goes to Alex, Gemma & Sophie for changing my life forever and standing by me on the most special day of my life. Aaah that's the loveliest post I've read in a long while. and oh my goodness you look so beautiful in your wedding dress. What a lovely photo to remind you of your friends. lovely, heart-felt and sweet wee post! As a lover of fresh, juicy figs myself I'm lovin the new blog name(only wish I thought of it myself:)! This is the sweetest! Lovely picture girls! Beautiful! I'm so happy I found your blog! You've got a new fan! 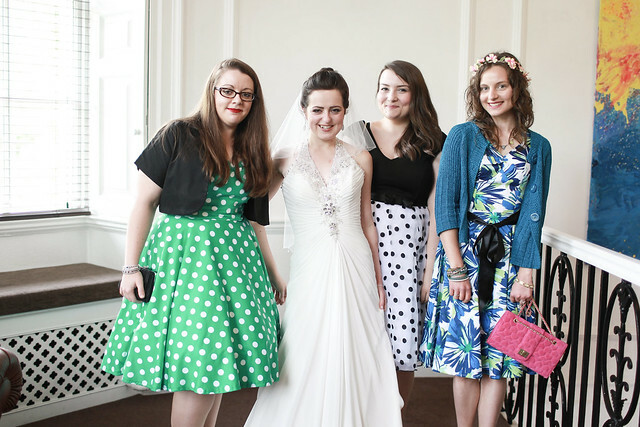 Lovely post - so glad you found some great friends through blogging. Hi,how are you today?I have surfed your blog serveral times, your blog is great and having a lot of intresting things. If you have time, you can visit my blog and feel free to give me some comment on GovJobInd, more important thing is being my follower! Thank you very much.